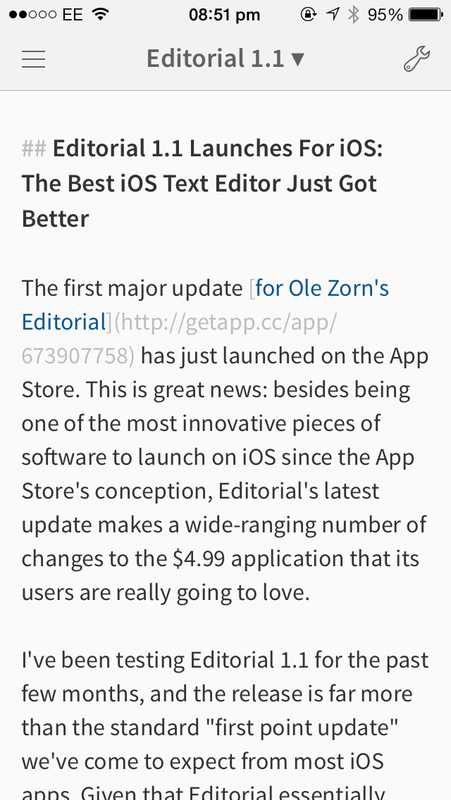 The first major update for Ole Zorn’s Editorial has just launched on the App Store. This is great news: besides being one of the most innovative pieces of software to launch on iOS since the App Store’s inception, Editorial’s latest update makes a wide-ranging number of changes that its users are really going to love. I’ve been testing Editorial 1.1 for the past few months, and the release is far more than the standard “first point update” we’ve come to expect from most iOS apps. Given that Editorial essentially revolutionized text composition on iOS, however, it shouldn’t surprise us too much that developer Ole Zorn’s latest release has once again expanded on what our beloved iOS devices are capable of achieving. 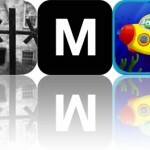 Editorial launched on the App Store last year as an iPad Markdown editor with a difference. At the time we were used to Byword, iA Writer, and a number of similar titles which allowed users to compose and preview John Gruber’s Markdown syntax using an iPad and, in some cases, an iPhone, too. 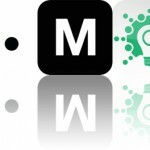 Editorial pushed the boundaries of what was possible on Apple’s mobile OS through integrating Automator-inspired “workflows,” Python scripting, in-house text snippets, and an in-app Web browser all inside of a traditional Markdown editor. Christine Chan, in her review of Editorial, called it “the Swiss Army knife of iPad text editors,” and she’s exactly right: after using and playing around with Editorial even for a few hours, you’ll be surprised at how much the app can help you achieve. Its Python integration can help take this to the next level, of course, but even if you’re not code-savvy, Editorial’s workflows (which require little or no programming knowledge) can easily be created to input hyperlinks into the text editor, perform custom Web searches, format your document, and even prepare the entire content for Web publishing. If you’re feeling a little more adventurous, you can also link Editorial up with countless other iOS apps using custom URL schemes (the Editorial Workflow Directory provides a great starting-point for anyone new to the process). Editorial 1.0 was without doubt an impressive release. With Editorial 1.1, however, the best iOS text editor is now even better than before. First, Ole Zorn has overhauled the app’s user interface (UI) for iOS 7, adding a lighter, brighter design and a brand new font, both of which look great running alongside the updated mobile OS. Where possible, icons are now outlined rather filled a solid color, and the app supports iOS 7’s light and dark virtual keyboards. In many ways, Editorial 1.1 feels like a new app, and it provides users with a far more pleasant and attractive working environment (the new font, a fairly late addition in Editorial’s beta update cycle, is a particular favorite of mine). The workflow composition interface is also cleaner, and when dealing with more complex, lengthy workflows which contain multiple conditionals I think the interface is easier to read through, too. However, the biggest and most surprising change in Editorial 1.1 is that Ole Zorn has launched his app for the iPhone. Given the complexity of Editorial and the difficulties of bringing a workable text editor to the iPhone, this isn’t something I’d expected to see arrive so soon. That being said, I’m so pleased the change has been made, because the now-universal Editorial app is in fact a real pleasure to use on Apple’s smartphone. Naturally, there are a couple of drawbacks imposed by the handset’s smaller screen: for one, there’s no workflow toolbar; for another, switching between the Markdown preview, in-app Web browser, Python console, and “Help” documentation interfaces must go through a single button that kick-starts a dedicated menu, and the process of switching is naturally less intuitive than it is in the iPad app. Nevertheless, having the power of Editorial (and the “Zen of Python”) on your iPhone is an absolute dream. 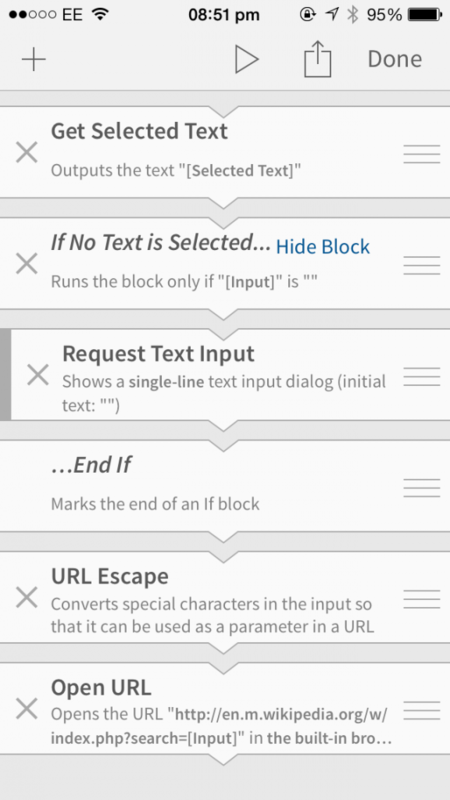 Finding a workflow in Editorial 1.1 for iPhone. In fact, I’m currently writing this particular paragraph – and editing this article – in the Editorial iPhone app, and the process is surprisingly efficient. I really applaud Ole Zorn for making this change so early in Editorial’s development history and for releasing a universal build (rather than a separate paid iPhone app). If you’re an Editorial iPad user, the iPhone version will definitely complement your iOS-powered text-composition workflow. The redesign and universal support are two big changes made in Editorial 1.1, but the update makes a slew of alterations to the application. HTML can now be copied from the Markdown Preview pane (eradicating the need for a “Markdown to HTML” workflow) and the in-app Web browser now uses a combined URL and search field. There’s a new mode for .taskpaper files, keyboard shortcuts have been added, and it’s now easier to search for workflows by tapping and holding on the “wrench” icon. There’s also a new font, a live word count (which appears in the top-right corner of the app), and an easier-to-access “Get Clipboard” workflow action. New Python modules have made an appearance, and a large number of bug fixes have also been applied, too. 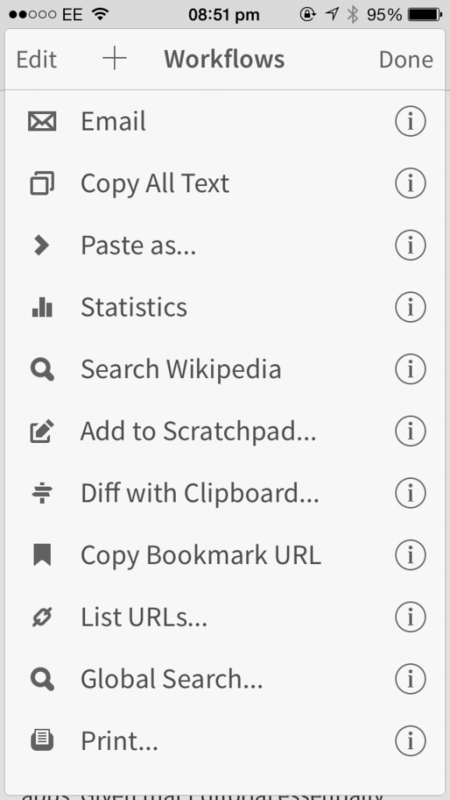 Editorial 1.1 offers an improved workflow interface. Here’s a list of the “General” changes made in Editorial 1.1 (the full release notes are too big to include here, but rest assured: the changes are vast!). If you’re often leaning on Drafts, Byword, or iA Writer to compose text on your iOS device, Editorial is an application you should seriously consider checking out. Editorial 1.1 is available for $6.99 on the App Store, and it’s now a universal application optimized for the iPhone, iPad, and iPod touch. 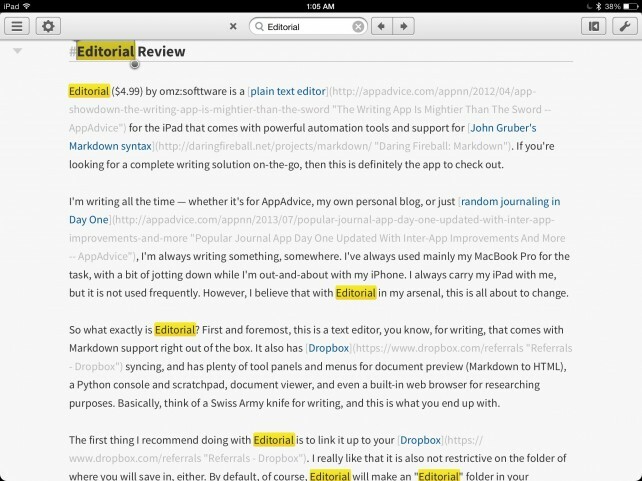 For our original review of Editorial, see: Editorial Is The Swiss Army Knife Of iPad Text Editors. Our previous coverage of the app can be found by clicking this link.